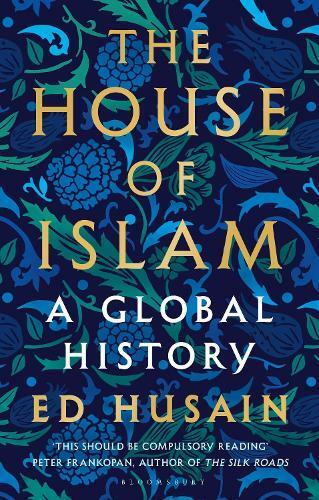 Ed Husain has taken on the mammoth task of writing a comprehensive history of Islam and its people for a Western audience. The House of Islam successfully achieves this, providing a necessary foundational overview of the historical, cultural and geopolitical issues of Muslim culture from its inception through to the twenty-first century across seven different cultural and geopolitical spheres. Husain situates Islam in relation to the West and Western thought. However, he does not create an ‘us’ vs. ‘them’ comparison. Instead, he highlights the limitations and dangers of current Western perceptions and demonstrates how the relationship between the ‘West’ and the Muslim world can be more interconnected and peaceful. Husain was born in London to Muslim migrants from British India. He studied Arabic and Islam in Syria, lived and worked in Saudi Arabia as a teacher with the British Council, and later completed a postgraduate degree in Islam and Middle East politics in Britain. He has worked on addressing the misconceptions of Islam and Muslim culture, and the current ‘gulf’ between Islam and the West, throughout his career – not only in his studies and writing, but also by creating the London-based counter-extremism think-tank Quilliam. The House of Islam is divided into four main sections. The first discusses the religious underpinnings and origins of Islam and the Quran. The second section looks at the ideas, identities and consequences of what Husain refers to as ‘Arabisation’ of Islamic thought and juxtaposes this with discussions of the meaning and relevance of Sufism and Islamism. The third section discusses the long-term impact of both Westernisation and ‘Arabisation’ across various geographical areas of Muslim cultures. The final section then discusses the importance of global openness and coexistence. As someone with very little knowledge of Islam, I found Husain’s book a fantastic introduction to Islam and Muslim culture. The House of Islam expertly addresses the current gaps in knowledge of this large, significant and diverse part of our world’s history and modern-day culture. Rose Maurice works as a bookseller at Readings Doncaster.